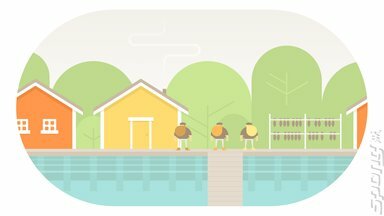 Burly Men at Sea is a rather difficult game to discuss. As has no doubt already be noted by others who have experienced it, there is very little 'game' of which to speak. Point and click adventures are usually rather light on interaction with an increasing focus, in recent years, on dialogue choices rather than solving esoteric puzzles. 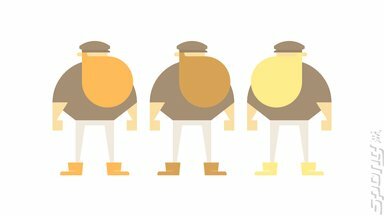 Burly Men at Sea takes a different approach as it rejects both approaches to storytelling. There are no complex puzzles to solve, nor is there a wealth of dialogue options to explore. Instead, players are encouraged to experience each run through of the game, which usually lasts about ten minutes, multiple times but with different actions chosen in order that each time a new story for the 'Burly Men' is created. Choices that the player can make include whether to wear a barrel or not after being shipwrecked inside a whale or whether to speak with a wizard or run away. Each choice changes the ending that the Burly Men experience and is recorded at the end of a session. Each of these runs provides another book of experiences until all possible routes have been exhausted. The extent to which the player will enjoy the game really depends on how engaging they find the setting and the style of storytelling. Having completed every possible story in the game, I still feel slightly unsure of my overall feelings. 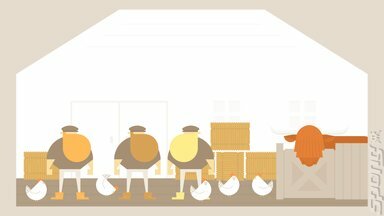 Burly Men at Sea is certainly a very visually appealing game and the world in which the titular heroes find themselves appears ripe for exploration. The soundtrack in particular really is excellent and I found myself humming extracts whilst I was at work. Each time I reached the end of a story I genuinely looked forward to returning to the house where the books were stored because of a specific audio cue. Sound is used sparingly but is so evocative when used that it really significantly adds to the atmosphere. Each environment that the Burly Men visit feels consistent with the overall design although I wouldn't expect too many surprises as it becomes apparent after the third or fourth playthrough that the range of environments available for exploration is extremely limited. This would not be a problem if each one provided a suitable range of actions to perform during each playthrough. Unfortunately, there are usually only two, or at best three, choices that the player can make, ensuring that each story run through often has only minor variations. That being said, following each run through characters do respond differently, referencing actions that the player has already undertaken. The level of familiarity that is consequently built in to these limited environments allows for some great writing that really communicates the feelings of futility that some characters appear to have because of their situation. The Burly Men may only be able to make limited choices but pity the other characters of the story who reference the pain they have experienced because of previous choices by the player but who still continue because they know they have no choice. Some routes through the story are more eventful than others, and although none really provide a 'challenge' in the traditional sense, there is something to be said for experimenting with different options to see how this impacts the overall story. At no point did I really feel frustrated that I wouldn't be able to unlock another story path, largely because the options available are very binary. From start to finish the game took me less than an hour to see every available ending and, if I am honest, I only felt compelled to do so in case more content was unlocked after discovering each path. Unfortunately, this was not the case. The overall story, characters and environment are undoubtedly charming, but the narrow nature of the experience is unfortunate. As a limited experience it undoubtedly works, I just wish there had been more of it. Playing the game reminded me of the time I have spent reading books to my children. We frequently return to the good stories repeatedly, each time noticing something different or just enjoying the familiarity. 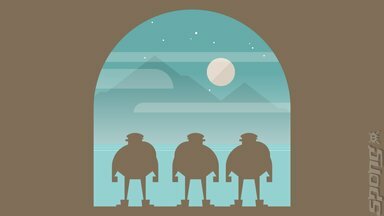 Burly Men at Sea offers a similar experience, but the extent to which players will want to return will really depend on their engagement with the core gameplay loop. Approaching the game as a story book with (extremely) restricted interaction may prove the best way to play, and anyone expecting a large-scale point and click adventure will be disappointed. So, how do I really feel about the game? When considering my time with the Burly Men I have to admit it certainly wasn't time wasted. I enjoyed my interactions with the cast of characters, the writing really is very good, especially when combined with the brilliant sound design, but I found the story loops to be rather too repetitive to prove enjoyable in the longer term. It's a memorable game that I feel doesn't quite reach its potential. - Branching options are rather binary.